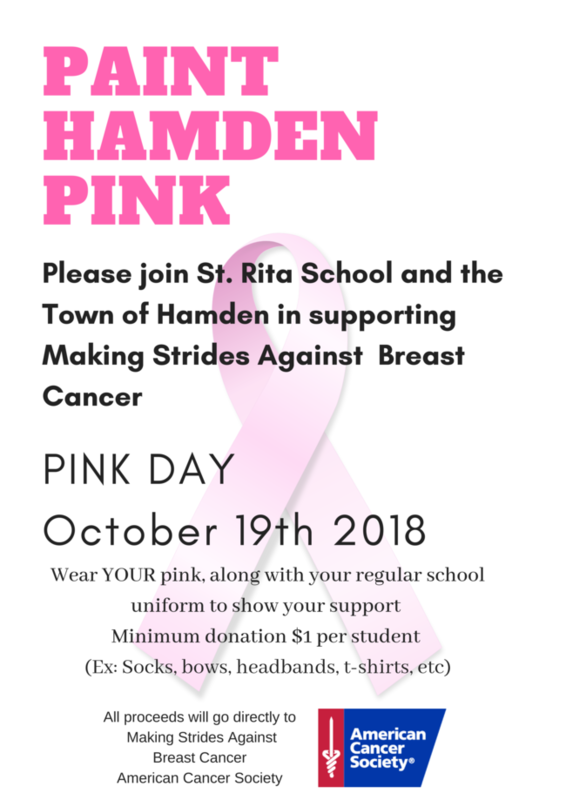 St. Rita School inspires students in Pre-Kindergarten through grade eight to achieve academic excellence in a safe, nurturing and faith-filled Catholic environment. We prepare students to be morally responsible, innovative thinkers who, in today’s technology-guided global community, live and share the Love of Christ. We are counting down the days to the start of our NEASC re-accreditation visit, Oct. 14-17. The seven member visiting team will arrive on Sunday and they will spend the next three days interviewing, observing, and verifying the Self-Study Report written by our school. A copy of our Self-Study Report is available for parents to sign-out and read. Please contact the school office if you are interested in reading the report. The final decision to re-accredit our school rests with the NEASC Commission of Independent Schools who will meet in February 2019 to discuss this matter. Yesterday the full-time faculty joined with their Catholic school colleagues for the Teaching and Learning Conference at St. Mary School in Milford. Nationally known educators, Carol Scearce and Jan Rozelle presented a workshop on “Strategies for Learning- Power Tools for Literacy Across Content Areas” while the teachers in the early childhood programs heard from Stacey Leitzel on “ Building the Beginning Reader’s Brain”. Mrs. Anton(10 years) and Mrs. DelVecchio (20 years) along with other Catholic educators were recognized for their years of service to Catholic school education. Thank you and congratulations, Barbara and Kim. Congratulations to Julia Cannon who will be honored by the Foundation for the Advancement of Catholic Schools (FACS) at their Annual Columbus Day Breakfast on Friday. Julia was chosen by her teachers to represent St. Rita School at this event. We are midway through the first trimester and Parent Teacher conferences are scheduled for this Friday (10/5) and next Tuesday (10/9). 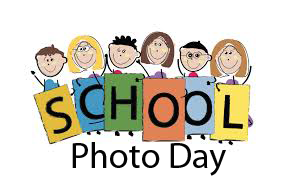 Both days will be early dismissal days. These days were chosen to accommodate the NEASC visit. If you have not yet scheduled your parent-teacher conference please contact your child’s teacher. Report cards for the 1 st trimester will be sent home on November 30. I’d like t extend a warm welcome to our new Spanish teacher for grades PreK4- grade 3, Mr. Michael Petruzzi. Mr. Petruzzi most recently taught at St. Francis-St. Hedwig School which closed in June. 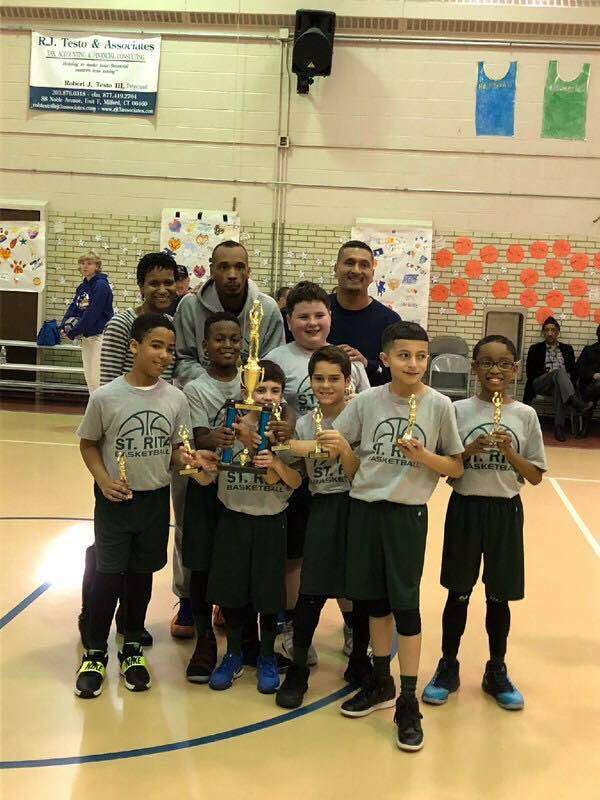 He is currently a teacher at Holy Trinity in addition to his duties at St. Rita. We also welcome Mrs. Joanne Bruno to our staff as the Advancement Director. Joanne is a familiar face here at St. Rita and will be working in the areas of alumni outreach and other advancement initiatives. Welcome Michael and Joanne. Thank you for entrusting your child/ren to our care. Enjoy the rest of the week. Be a SRS KIND KID! Acts of kindness are always noticed and appreciated! Save your cards and redeem them for special prizes at our school store... opening October 4th! The CT Department of Revenue Services has recently confirmed that 529 Education Savings Accounts, which can now be used for private K-12 school tuition, just as they are currently used for college tuition, will not be subjected to any state tax penalties under current state law. We hope you’re as excited as we are about our upcoming Splash program! This fall, Splash will take place on October 27 th . Student registration will open on October 7 th at 4pm , and the course catalog will be available on October 6 th at 4pm. Splash is our signature day-long program, which features over a hundred classes on subjects from cosmology to spoken word poetry. Splash is a chance for you and other middle and high school students to delve into your interests and discover new passions. Past Splash students have enjoyed the wide variety of classes and the chance to learn from Yale students. Splash will be from 8am to 4:35pm with sign-in from 8-9:30 in SSS 114 and classes from 9:30am until 4:35pm. Classes will be located in William L. Harkness Hall (WLH) and Linsly-Chittenden Hall (LC). The cost of the program is $20 including lunch. Shirts can be purchased for an additional $10. Financial aid is always available to students who demonstrate need. All payment must be done online with a credit card by 5 PM on October 18th. If there are limitations which prevent you from paying by credit card, email us at yalesplash@gmail.com prior to 5 PM on October 18th. If you have not paid by credit card and have not emailed us, the program will cost $30 at student sign-in. Feel free to contact us at yalesplash@gmail.com if you have any questions or concerns. Looking forward to seeing you at Splash! Please DO NOT have lunch delivered to the school for your child. Interested in spreading the good word about SRS? Join our Parent Ambassador Program. Contact Carissa Civitello for more details! The Office for Catholic Social Justice Ministry (OCSJM) is celebrating 50 years of ministry in the Archdiocese of Hartford. A dinner and awards celebration will be held on Tuesday, October 23at the Aqua Turf Club in Plantsville, CT, beginning with a reception at 5 pm.Timothy Shriver, Chairman of Special Olympics International will provide a keynote address. Being honored with awards at the dinner are: Maribeth StewartBlogoslawski, President of the National Council of Catholic Women and North American Vice President of World Union of Catholic Women’s Organizations, St. Raymond of Pentafort’s HomeFront team, and Assumption Church, Ansonia for its Teen Discipleship and Community Outreach Breakfast programs. Join the celebration! For tickets call OCSJM at: (860) 243-0649 or visit the website at www.catholicsocialjustice.org . Tickets are $70 per person, or $650 for a table of ten. If you attended last year's Mother Son event and did not receive your souvenir water bottle, please stop in to Mrs.Bruno's office. Please help us grow our St. Rita School library! 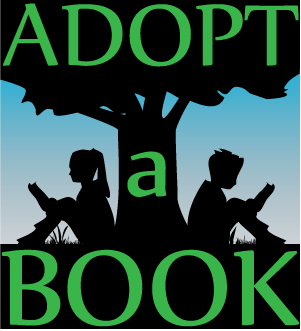 During conferences this week Mrs. Schreck, our school librarian, will be set up in the hall with a variety of books for you to adopt to add to our library collection. Books can be purchased for $20. The book of your choice can be dedicated in honor of a relative, friend or faculty member or in memory of a deceased loved one. 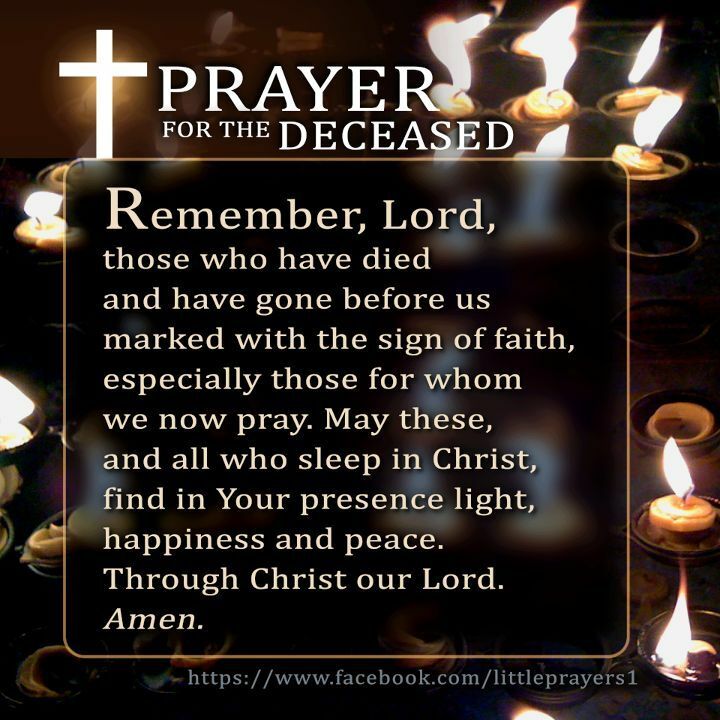 You may choose to also acknowledge a special event or birthday. You can also use any sentiment of your choice. A customized St. Rita bookplate will be placed on the inside cover of your book which will record the donor’s name as well as the recipient of the sentiment. A notification letter will be sent to the honoree or their family members. Be sure to stop by and check out our collection! 2018 High School Night Showcase! 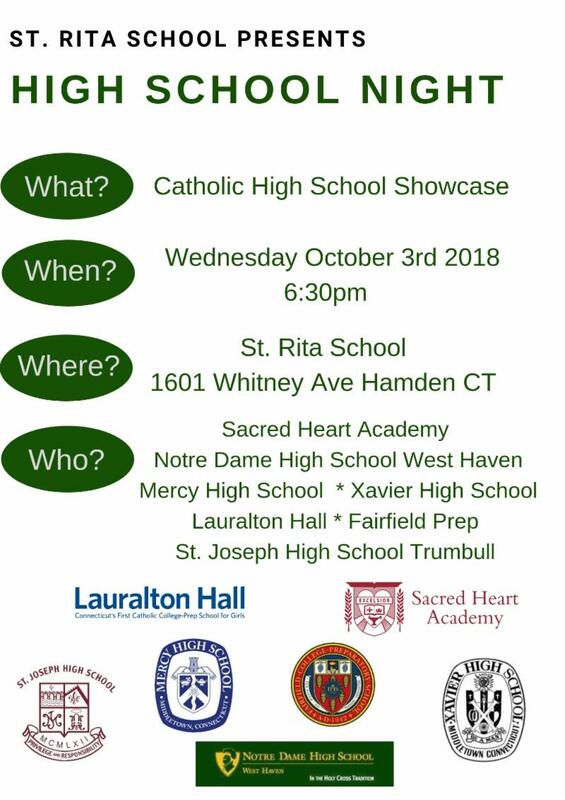 Non- St. Rita School students welcome! Last chance to purchase tickets! Be the first to see the new Boscov's at Connecticut Post Mall, and help St. Rita School at the same time! Each ticket holder receives a free gift, and there are refreshment and entertainment. 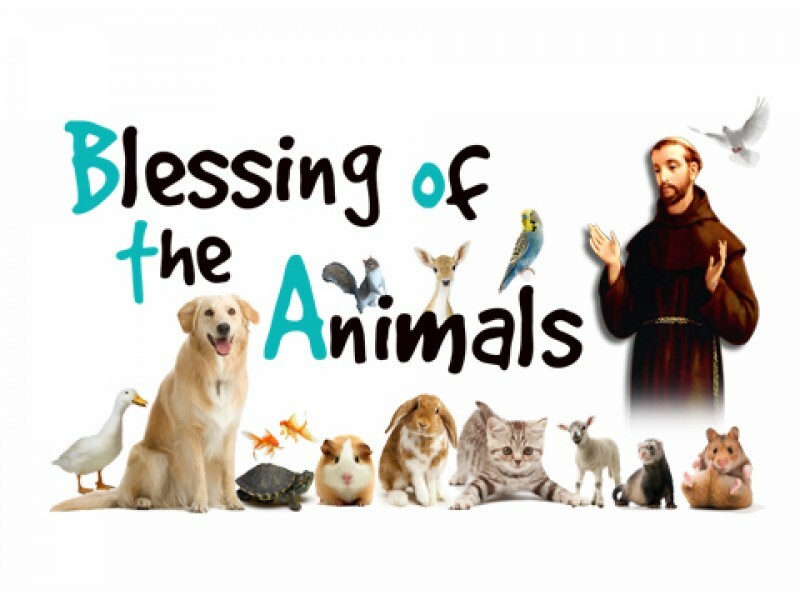 Your ENTIRE $5 donation benefits St. Rita School. Grand Opening Thursday October 4th!!! 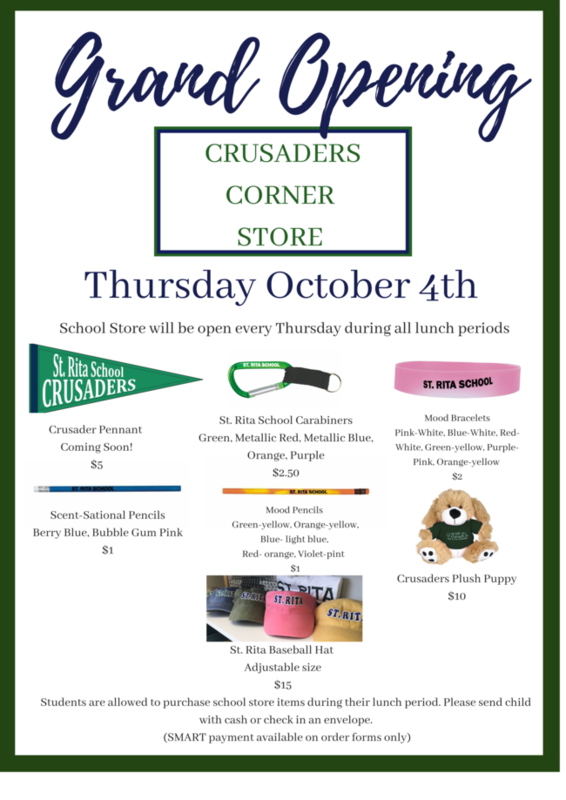 Crusaders Corner will be open every Thursday during all lunch periods. Please send your child with cash or check to purchase items! We are still seeking volunteers to help run the store. If you are interested please contact Mrs. Civitello. The Charleston Wrap fundraiser has begun. All order forms and money are due back to school by Friday, October 19 th , this guarantees orders are delivered well before Christmas. Remember, a portion of your sales count towards your family assessment of $150 for 1 child, $300 for 2 children, $350 for 3 or more children. You will receive a credit of 50% from all items in “The Merry Gift Wrap Guide”, 40% from “Kitchen and Home”, and 30% from all personalized orders toward your family assessment. Be sure to have your students sell to family and friends. The more they sell, the more prizes they earn. Don’t forget to visit www.charlestonwrapstore.com and use the schools online ID: z-12449, to buy online and sell to out of town family and friends! 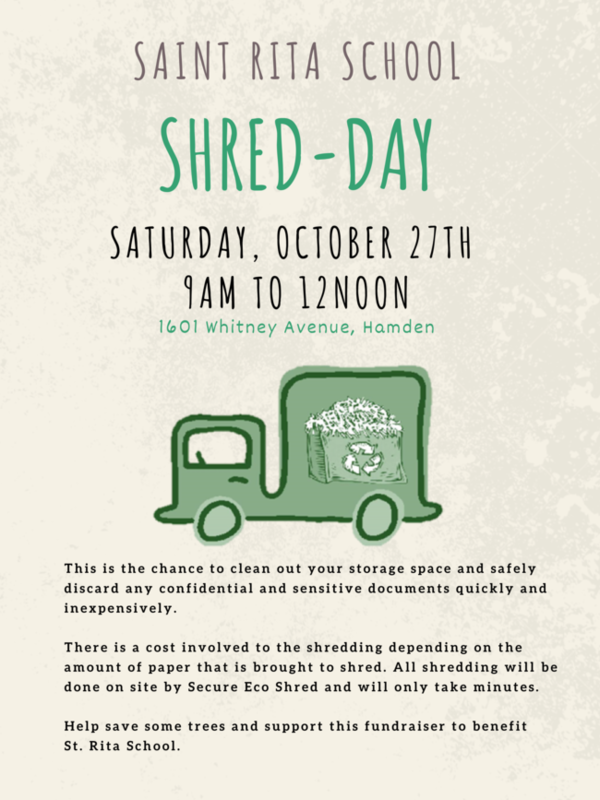 Calling for volunteers! We’ve got some shoes to fill. NEW LINK TO SIGN UP!!!! 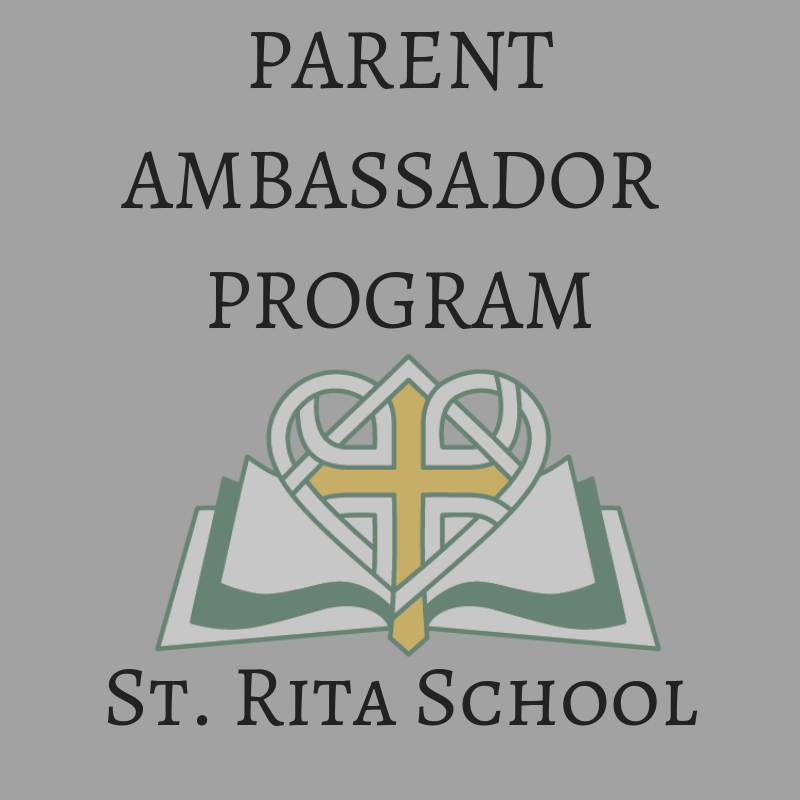 The St. Rita School HSA would love to have you as a Parent Volunteer this year! There are various events and activities planned for this year that cannot happen without your support. Your time and talents are needed for the continued success of our school. Even just one hour of volunteer time makes a great difference to the school community. Please access the link below to view the events scheduled this year and sign up for any of the volunteer positions that are open. Thank you for your continued support of our school! Cheer Squad for students in Grades 5–8. ﻿ OCTOBER 5 th 2018!! Did your child/ren do something amazing? Share with us! Please be patient as we receive many wonderful stories of our SRS students and Alumni! 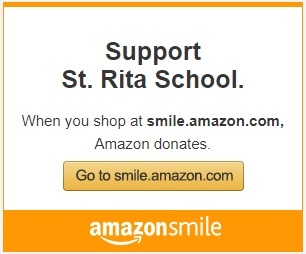 Shop at smile.amazon.com and support our school! 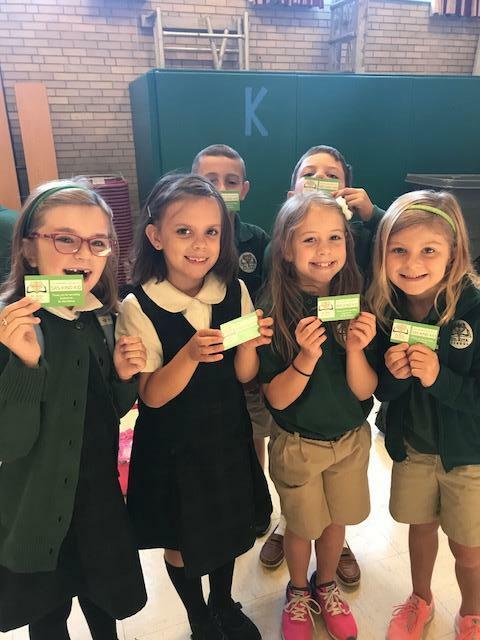 ﻿Support St. Rita School by Grocery Shopping! Register your BIG Y card through this link! "It’s Box Tops submission time! 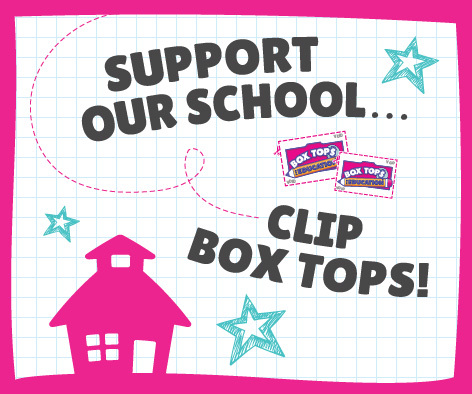 You can also download the Box Tops App to earn extra Box Tops! Help Our School Earn Supplies! 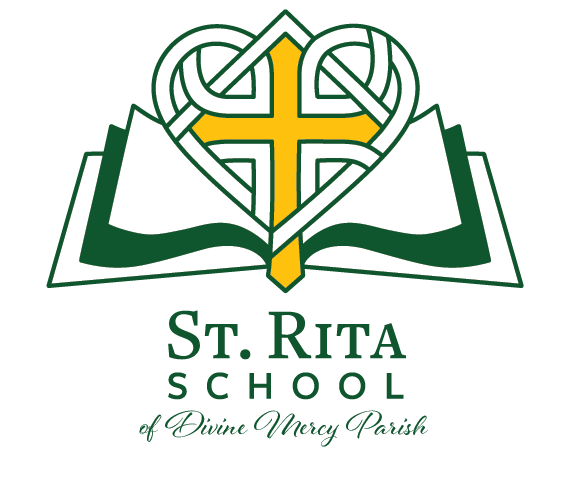 St. Rita will earn rewards toward FREE educational equipment. Please Note: Your card needs to be re-registered every year. 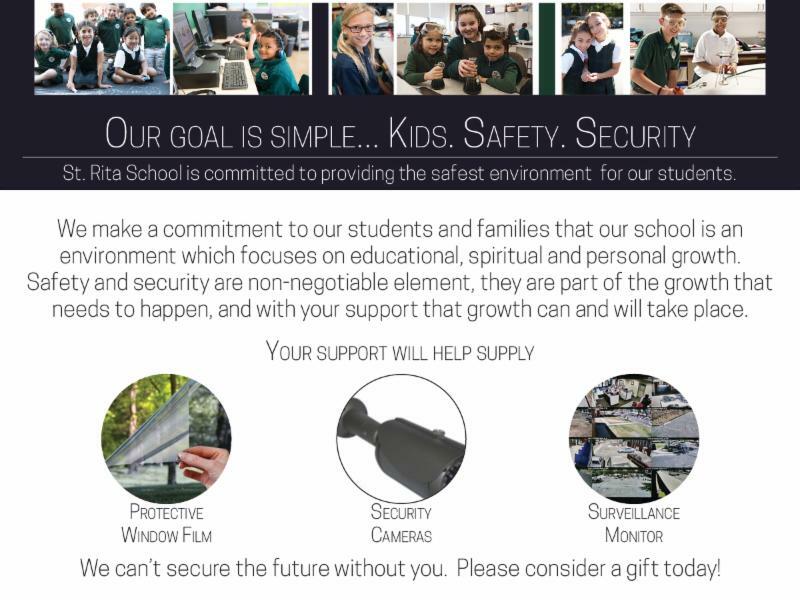 St. Rita School is committed to providing the safest environment for our students. Our goals are simple: kids, safety, and security. We make a commitment to our students and families that our school is an environment which focuses on educational, spiritual, and personal growth. Safety and security are non-negotiable elements. 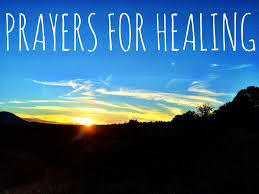 They are part of the growth that needs to happen, and with your support that growth can and will take place. Your support will help us supply protective window film, security cameras, and surveillance monitors. We can't secure the future without you. Please consider a gift today!